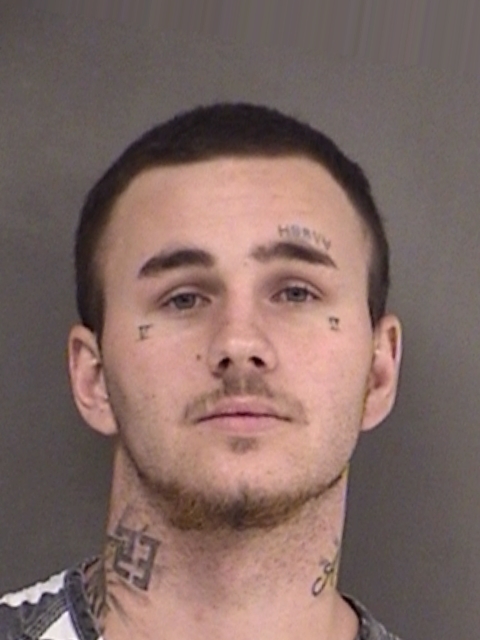 Jason Floyd Koenig, Jr., 20, of Winnsboro, was sentenced to 15 years in the Texas Department of Criminal Justice following his guilty plea for Aggravated Robbery entered Wednesday in Eighth Judicial District Court. According to Assistant District Attorney Matt Harris, Koenig will be eligible for parole after he has served seven and one-half years. In July, 2015, Koenig, then 18, was arrested for aggravated robbery of a couple. Koenig used a .22-caliber pistol. The robbery took place at Highway 11 West and Country Road 4703 Century Lake Road in July, 2015. Koenig took a wallet and a purse. A short time later, he was arrested by Hopkins County Deputies. In his vehicle the deputies found a .22 pistol, brass knuckles, stolen property, drug paraphernalia, and some marijuana. Two Xanax pills were found on his person during book in. Koenig initially received probation primarily because of his age and was sent to SAFPF, a drug rehab program, according to Harris. Wednesday, his parole was revoked for committing new offenses including theft, possession, lying about his identity, and forgery of government/national instrument.